Prepare your engines, as we slip and slide through Asia's longest water slide, happening in Filinvest City, Alabang on April 16-17, 2016, this will be the country's 2nd slide fest since 2015. Enjoy worry-free fun under the sun with the caring protection of NIVEA Sun as you zoom through clouds of foam. 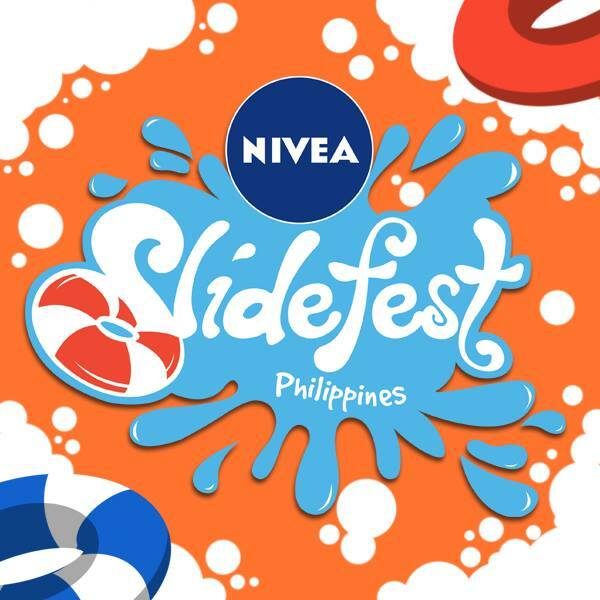 Get pumped up with the exciting new inflatables like human foosball and bubble soccer and other interactive booths brought to you by NIVEA Slidefest. Oooopppsssiee! There's more, because at sundown, NIVEA Slidefest turns into a giant party! Expect great performances coming from the hottest DJs in the country such as KatDJ, Jessica Milner, Migs Santillian and Marlo Naval, together with breathtaking performances from Emerald Fire Dancers and Asia’s Got Talent’s- The Intensity Breakers. To register, visit www.slidefest.com.ph for online reservation and payment, you can also email support@slidefest.com.ph for slot reservation. Alternatively, you can also visit Breakout Philippines branches at the ground floor of Paragon Plaza, EDSA corner Reliance Street, Mandaluyong or at Breakout Katipunan (right beside MSA Review Center). I will announce the winner on the 12th of April 2016.